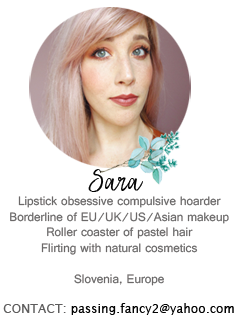 Recently I've been in LOVE with the pastel and neon trend so I decided to dig out my best neon and pastel makeup and nail polishes out of the stash. I really like salmon and flamingo colors at the moment and the orange trend didn't disappoint me either. 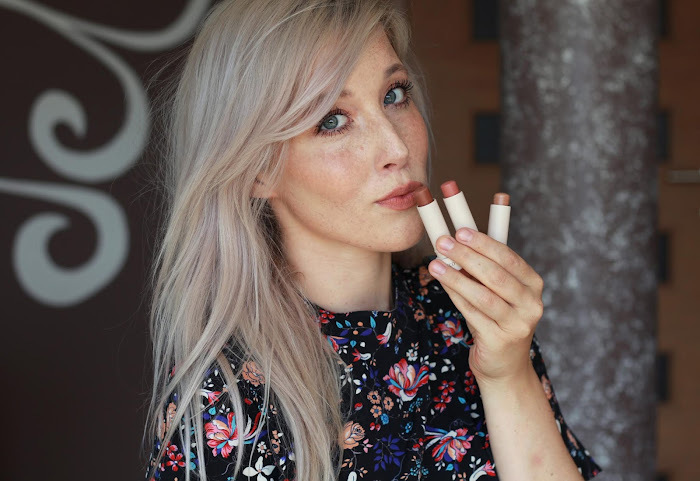 Orange can sometimes look a bit harsh on pale skin but with the right amount...everything can be wearable (except orangey foundations- yuck). But pink and pastel pinks do just wonders to fair skin. I highly suggest girls with porcelain skin to check out Nars Gaiety blush. I just can't resist pastel pink even when I pick out eyeshadows. Not to mention Sephora Peach beige and Mac Vex....they do wonders on the eyelids but they look nothing special in the pan. If I'm doing a smokey eye I almost always reach for cool toned purples with a duochrome effect. 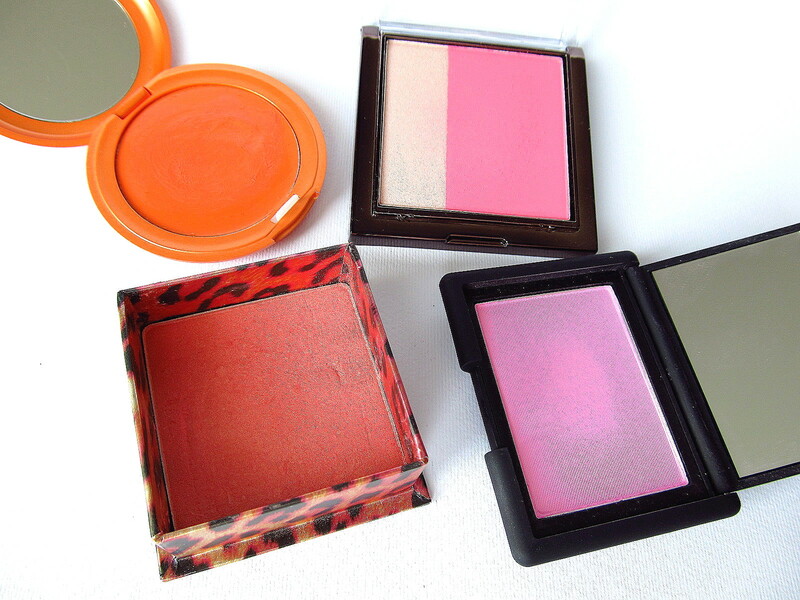 My top picks in the spring are obviously more bold colors in the flamingo, warm toned pink category. 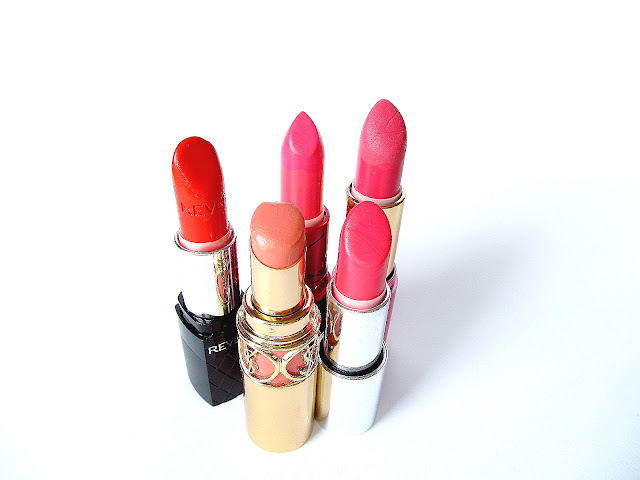 Might even consider Isadora Coral punch and Rimmel Pink gossip an almost dupe for Mac Viva Glam Nicki. I just couldn't resist not to mention YSL Rouge Volupte #30 which is a lovely pastel peach and Revlon Coral which is a BRIGHT red-coral (which scares even me!). Oh my, cuteness overload. I'm just in love with these pastel nail colors, especially with the new Bourjois ones, which are really unique colors. And not to mention their staying power...they really last 3 days without chipping, tried out without a top coat. The rest are just Essence ones, which are really good quality for the small price and a huge color selection. 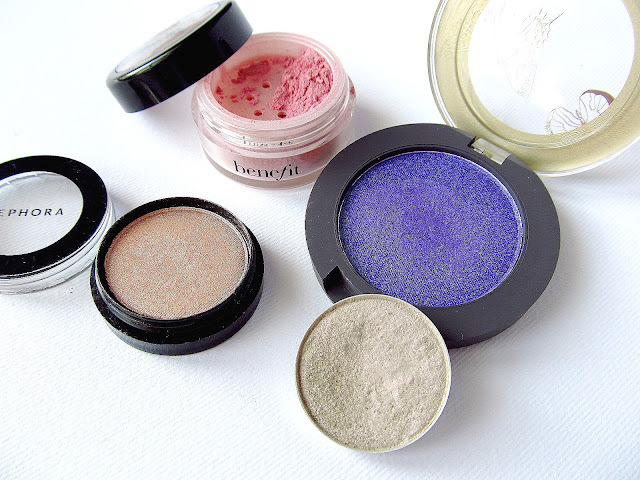 My favorite out of the Essence colors is A lovely secret which is a cool toned medium violet with purple shimmer. Last but not least...my favorite perfumes for the spring and upcoming summer are Oh Lola by Marc Jacobs and Katy Perry Puuur with lovely fruity scents. For the jewellery, I love wearing a multi chrome bug on the neck and my heart earrings by friend Charlene. Love your new type of pictures your doing. they look really good. Great choices too! 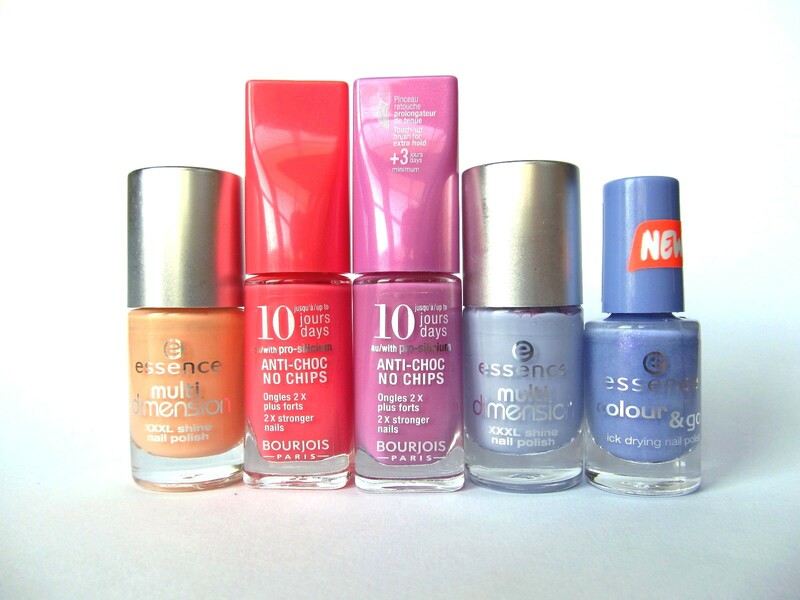 I must get those two Bourjois nail colours, they're lovely. Great picks for spring. I'm loving your viva glam nicki lipstick and NARS gaiety. 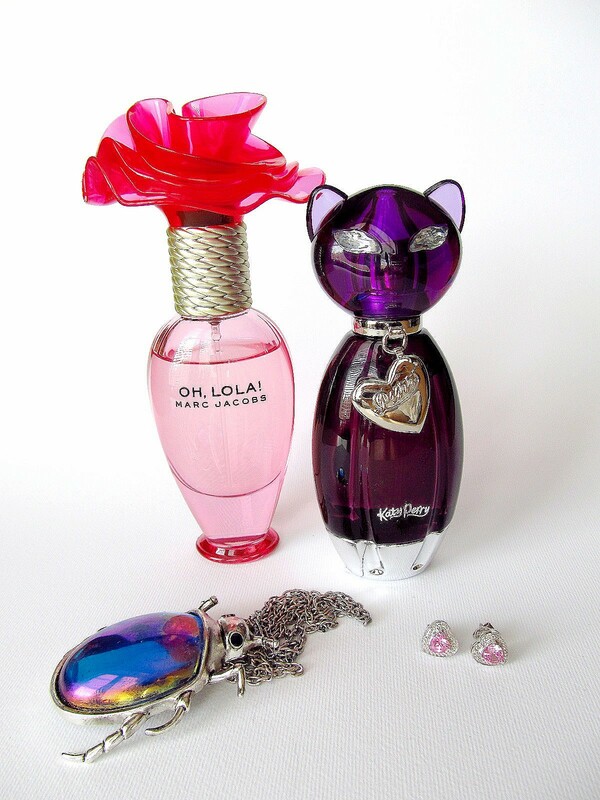 Oh Lola and Purr are beautiful fruity florals. I'm waiting for the release of Marc Jacobs dot perfume. It is an epitome of spring perfumes. Is there coming a new fragnance? :O M.J. always has such wonderful scents. I'm in love with pastel too! It calms me down and the colors are beautiful. I really enjoy L'Occitane perfume Cherry Blossom, you should try it!